Mike started his career with Fifth Third Bank in January 2018 as a vice president and business banking relationship manager covering the Northeastern Ohio market. 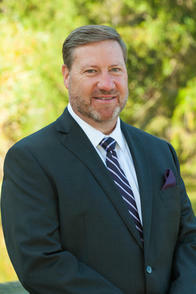 Previously, Mike was a team lead, business banker, branch sales manager, and owner of a mortgage company. During his career, Mike has been a top producing and frequent multiple award-winner as a sales leader and individual contributor. In addition, he has received recognition for consecutive years of successful business development. In his current role, he is able to incorporate his diverse experience to help business owners with annual revenue between $2 and $20 million reach their goals. Mike enjoys learning more about his clients' businesses and identifying methods to optimize their cash flow efficiency and access to appropriate bank credit products. Mike earned a Bachelor of Arts in Business Administration from Walsh University. His community activities include COSE, ECDI and multiple chambers of commerce. Mike also volunteers his time with Habitat for Humanity, Cleveland Food Bank, and Cleveland Metro Parks.